Your Trusty College Essay Writing Service To The Rescue! Essays plague high-schoolers, college students suffer case studies and research papers, while postgraduates struggle with dissertations. At any academic level professors and advisors find ways to make your life difficult. They forget that students are human beings, not robots. Therefore, they require food, sleep, and relaxation to stay healthy and happy. It is no wonder so many students are diagnosed with depression, anxiety attacks, and other psychological disorders. Trying to juggle home responsibilities, social life and homework can be impossible. It’s understandable why many students Google “write my essay” and end up at our paper writing service’s website. We are here to help you understand the most common of school assignments and show how you can complete them all in time without going crazy. Over the course of your academic career, you will write dozens, if not hundreds of essays. It is, after all, the most popular writing assignment among high school and college professors. Still, some graduates leave college hating essays and writing. They don’t have a single clue about why they had to waste hours upon hours in the library. We are here to explain the essay basics few people know and how you can use this helpful info to rock your studies. An essay is a medium-length piece of writing that provides meaningful information on the issue to fulfill its goal. The aim of the paper differs depending on the essay type and the academic level. The latter also determines the depth of the research and analysis required. What Types of Essays Are There? Argumentative essays should list powerful claims and provide evidence to support your stance on the issue under discussion. Persuasive papers are like argumentative ones, but their goal is to persuade the audience to take your side of an argument. Unlike the previous type, which relies solely on logic, these essays can appeal to emotions and respect for authority. Informative papers are similar to Wikipedia articles, and they are meant to apprise the reader of the issue. These essays should outline the data objectively, without bias. 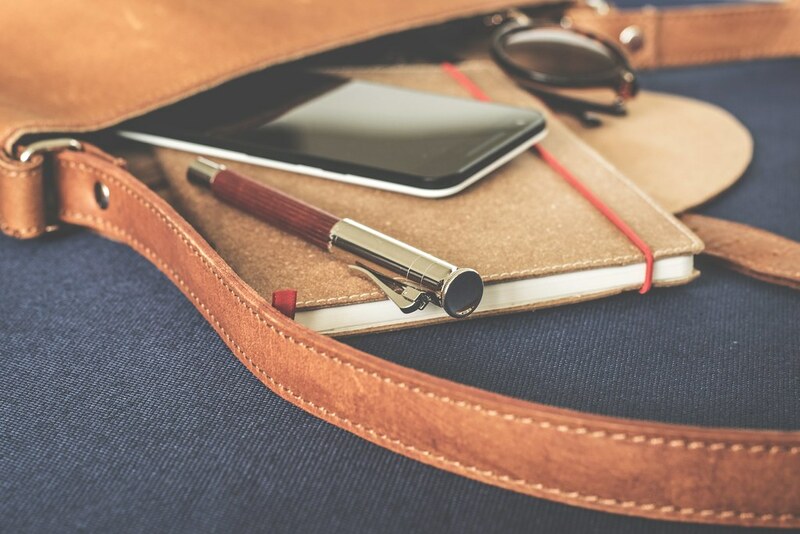 Reflective essays allow for first-person writing and do not require references to support your claims, as these papers cover personal experiences and their impact on your life. College application essay is the prime example of this genre. Pre-writing includes understanding the assignment, researching the topic, taking notes and creating an outline. It is a commonly under-appreciated stage as pre-writing can take as much time as writing the paper. However, preliminary steps are necessary, as they allow you to immerse yourself in the topic, gain expertise and plan an outline, which will ultimately save your time and make the writing much easier. Writing the essay is simple if you have not skipped the first stage. Taking your notes, sources, and outline, you can draft the writing in a few hours and finish the paper before you know it. This stage is the least challenging one if you do things right. Polishing the draft includes editing, proofreading, and formatting. This stage will turn your good ideas into an excellent piece of writing worthy of the highest grade. However, editing the text you’ve written can be a challenge, so getting a second pair of eyes is recommended. But if you are out of time, and the only thought on your mind is to find a genie and ask him “write me an essay”, our website is here for you. Explain your assignment and specify the topic, and we’ll find the perfect essay writer to complete it before the deadline. It takes two minutes to place an order and two more to preview and download the finished work. Research papers are college professors’ favorite form of torture. Whichever major you choose, you will spend days and nights in the libraries and online to find enough obscure facts and statistics to appease your instructor. Research papers cause students troubles because they require an in-depth knowledge of the issue, which requires to an extended pre-writing stage. Narrow down your topic until it becomes manageable. You won’t have time to study everything ever written about marijuana legalization in the USA. However, you can assess the ways young people abuse medical marijuana prescriptions in California. When Google search does not provide at least ten results, you will know you have narrowed the topic too much. Select credible sources to back up your arguments. Wikipedia articles might be informative, but few professors will allow them on your reference list. Use the reference section instead to find primary sources and cite them. Peer-reviewed journals and books by experts are preferable to blog posts and corporate websites. Your sources should be recent, informative, and unbiased. Develop a thesis statement before plunging into research. This technique works the same way as narrowing your topic. Once you have a clear idea of which issues you want to concentrate on, it will be easier to find and select sources. Note critical facts and where you found them, creating instant citations. Two or three examples from credible sources are enough to support a claim. Avoid over-quoting, use paraphrasing and summarising where appropriate to make your writing cohesive. Follow the classic research paper structure. It should contain the background information on the issue, equipment, and methods used in the research, experiment description, results, discussion, and recommendations. The specific sections of your paper will depend on your subject and topic. After reading these few tips, you might think “Can I find someone to write my research paper?”. It is a complicated and time-consuming task that needs dedication, concentration, and patience. If you don’t want to waste your time on this particular assignment, contact our writers. They have years of experience writing research papers for college students and can handle any subject, from American History to Zoology. If you decide “I better let a professional write my research paper”, you will save yourself a lot of time and preserve your energy for more important tasks. All you need to do is to fill in the order form and wait for our writers to perform their magic. In a few days, you will download the finished research paper. It’s a lot easier than writing it by yourself! Case studies are typical assignments for Business majors though Medical and Nursing students also have to deal with them. 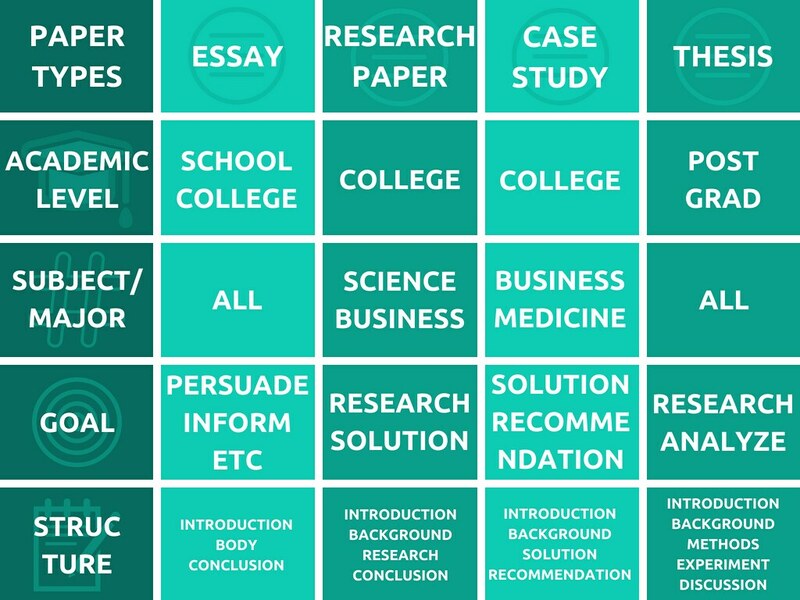 If you want to know how to write a case study paper, you should first study our essay and research paper tips, since case studies fall in between these two assignments on the homework spectrum. Writing a case study is very similar to a problem and solution essay. You need to identify the critical issue of the company or patient and propose a viable and actionable solution. On the other hand, case studies have a structure similar to a research paper. You need to study the background information, research and analyze data before forming a recommendation. The crucial difference between solution and recommendation is that the former should outline the benefits of a long-term strategy, while the latter should provide actionable short-term tactics. If you don’t know how to write a case analysis, start from the beginning. Go online and research the company’s history, mission, vision, services, and products. Don’t stop at gathering facts, analyze how and why the company got into trouble. Think about actions and decisions that might have led to the current situation. This information will be the basis of your case study and fill in the background section of the paper. Unlike an essay introduction, the case study’s first section is easy to write, as you have all the information at the ready and only need to phrase it eloquently. An essential part of learning how to write a student case study is formulating the solution and recommendations section. Your solution should explain how the business can solve the existing problem. For example, you can propose an increased social media presence for a struggling coffee shop. The recommendations should be more precise and describe what the business needs to do every day to reap the benefits of your solution. Therefore, your proposal should take on a form of a checklist or a plan. It should be easy and quick to implement and require minimum resources. Otherwise, it might not be workable for a struggling business. Unless you are a business genius, it might be hard to come up with solutions and recommendations for a case study. That’s why you should research businesses in similar industries that have faced the same problems. Their ideas might point you in the right direction, but remember to cite all sources used. Medical case studies are similar to business ones. Only instead of a struggling company, you will cover the client’s diagnosis and treatment plan. If you choose the traditional treatments, make sure to note the protocols used. Otherwise, cite case studies, reports or articles you used to research the case and come up with a solution. These papers will teach you to analyze patient’s data carefully before making life-changing decisions. Whether you are a Medical or a Business major, your life is filled with endless assignments. And when you haven’t slept a few nights in a row, it is impossible to concentrate enough to complete a case study and expect to get an A. However, in the age of the Internet, you don’t have to suffer alone anymore. You can hire a professional case study writing service to complete homework for you. Unlike many scam sites and untrustworthy agencies, we do not rely on plagiarism and pre-written works. Our writers follow instructions to the letter and always produce top-notch results. Give them a try, and you won’t be disappointed! Few of the college graduates choose to continue their studies. And ambitious future scientists and professors enter postgraduate programs without a clear understanding of what lies ahead. Sleepless nights, constant criticism, and endless dead ends are just a few of the everyday troubles. It’s no wonder so many postgraduates drop out of the programs to never finish their dissertations. The lack of motivation is the least of their problems. The most persistent students need to develop a thesis proposal and fulfill it in three or four years. However, it is easier said than done. The first part of any research is background information gathering and analysis. And many postgraduates get stuck on this step since they fail to narrow down their research question. It is possible to learn everything about a single topic though it is not requisite for getting your Ph.D. Instead, skim the best sources and analyze them to locate the inconsistencies or blank spots you can fill with your research. Doctorate thesis’ topics are usually extremely specific since dissertations are not supposed to revolutionize science. They are meant to push the boundaries of our knowledge in small ways. Dissertation’s structure is like that of a research paper, so the next section should describe materials and methods used in your research. There is no need to explain the standard and widely known techniques, only those you have developed specifically for your experiment. Otherwise, you can refer the readers to industry or international standards. Experiment planning, implementation, and results should make up the largest portion of the thesis. The specifics will depend on your field of study though there are commonalities. For instance, tables, figures, and diagrams are preferable to demonstrate large quantities of data comprehensively. Each set of raw data should come with an analysis to explain how this information was procured and why it is important, which consequences it may possess. Dissertation conclusion should contain the critical information about the research, including crucial background facts, empirical data, and discussion of the results. It can’t be as short as a single paragraph, but there is no need to repeat all data and ramp up the volume of the conclusion. The doctoral thesis is the ultimate paper in every researcher’s life. However, not everyone can handle the stress and strain of writing a dissertation. It’s a long and convoluted process that will make you hate science, your advisor, and even yourself. If you feel on edge, it’s time to reach out to professional dissertation writers. Our experts have obtained their Doctorate degrees and are now ready to help you if you use our thesis writing service. There are many ways our custom dissertation writing service can assist you. If you are not ready to outsource the whole thesis, you can always start with one of its chapters or even a thesis proposal. Getting one chapter done at a time will also be easier on your wallet. Another way you can utilize our dissertation writing services is by ordering proofreading and editing instead of writing. Professional editors can turn your research into a magnificent piece of writing your academic advisor will love. Graduating college and getting a degree without losing your mind is difficult. There are too many assignments to complete and too little time for essays, reports, and case studies. You need to prioritize school over social life, family, and health. And yet you still never measure up to the professors’ expectations. It’s a good thing you need not do everything on your own. ProEssays is the best site to buy a research paper, an essay, a dissertation, or any other paper. Outsource your academic reputation and success to us, and we won’t betray your trust. Our writers will complete your order well before the deadline, and you will get an original, high-quality paper worthy of your professor’s praise. We welcome your feedback and will work on improving your writing in case you find any flaws. Besides, no one will ever know about our little secret, so your academic future is 100% safe. If you need a research paper written in under a day, or if your assignment is due in a month, contact us. We’ll immediately find the right person for the job and get back to you with the picture-perfect paper. Order your paper today!